Située à 350 m de la mer. Terrain privé et clos de 300m² . Pièce à vivre de 12m² avec espace cuisine aménagée et équipée. Une chambre de 7m². Salle d\'eau comprenant douche et lavabo.WC indépendant. Local pour machine à laver. Restored house with 3 bedrooms, garage. Courtyard and garden of 580 m². On 2nd floor: Landing, 2 bedrooms of 10 m² and 8 m². Septic tank. Electric heating on 1st and 2nd floors. Wood burning stove on GF. Independent garage of 27 m² with courtyard. Stone house situated at 3 miles from the sea. On GF :Fully fitted kitchen of 22m². Living room of 26m² with woodburning stove. On 1st Floor : Bedroom of 18m². Bathroom comprising a bath, a washbasin and WC. Second bedroom of 16m² with ensuite showeroom comprising : A shower, a washbasin and WC. Wooden built bungalow situated in a very quiet position in the country side. Living / dining room of 16 m² with fireplace and wood burning stove, 2 bedrooms of 8 m and 9 m², Bathroom comprising bath and washbasin, separate WC. Kitchen of 6 m², Living / dining room of 11 m² with balcony and view on the beach,2 bedrooms of 10 m² and 15 m², Shower room comprising shower, washbasin and WC. 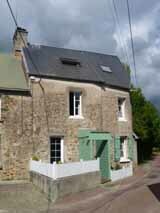 Near schools and shop, 3 bedroomed house in good condition with fenced garden of 1467 m² and outbuildings. ON GF: Entrance hall, fully fitted kitchen of 20 m², lounge of 12 m², independant WC, bathroom comprising bath and washbasin. ON 1ST FLOOR : 3 bedrooms of 14 m², 14 m² and 22 m², room comprising washbasin and WC. This house / villa comprises 5 rooms and 1 toilet. It is provided with a garage. This house / villa (contemporary house) , with a land size of 988 m² (about 0,24 acres) has 8 rooms including 3 bedrooms and 1 toilet. It has a living room and a garage. This house / villa , with a land size of 755 m² (about 0,19 acres) comprises 5 rooms including 3 bedrooms, 1 bathroom and 1 toilet. It is provided with a living room, with a terrace and with a garage. Townhouse Charming attached townhouse situated in the coast only 40 mn from Calais, 10 mn from Le Touquet at a walking distance from shops, major train station, schools...It includes: living/dining room, 2 bedrooms, fitted kitchen, large bathroom with toilet and shower. This house / villa , with a land size of 674 m² (about 0,17 acres) comprises 5 rooms including 3 bedrooms and 1 toilet. It is provided with a living room. Heating : fuel oil. This house / villa , with a land size of 350 m² (about 0,09 acres) comprises 4 rooms including 2 bedrooms, 1 bathroom and 1 toilet. It is provided with a garage and with a cellar. This house / villa , with a land size of 2033 m² (about 0,50 acres) has 6 rooms including 2 bedrooms, 1 bathroom and 1 toilet. It has a living room and a garage. Others : fireplace. Old farmhouse with 4 bedrooms. Outbuildings. Land of 1469 m² with possility to buy 2 acres more. Boiler room of 12 m² with sink. Garage and outbuidling of 50 m².